Safeguarding American Values for Everyone (SAVE) – Giving Tree Associates, Inc.
Safeguarding American Values for Everyone (SAVE) is South Florida’s leading organization dedicated to protecting LGBTQ people against discrimination. While SAVE’s executive director has made great strides during his five years in the role, including doubling the operating budget and growing the staff from two to seven, the organization didn’t have the processes in place to evaluate and reward staff performance. SAVE’s new board chair saw a significant opportunity to retain talent and promote long-term stability by professionalizing the organization’s staffing evaluation and compensation policies. In addition, the board sought a way to measure its own performance and effectiveness. 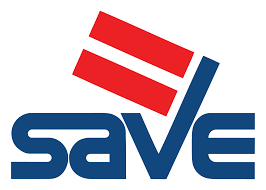 SAVE has welcomed the new policies and procedures, along with the salary and bonus structure, and is committed to using the materials. By establishing an evaluation process grounded in best practices, SAVE is now better positioned to recruit and retain top talent, identify clear organizational goals, and serve the local LGBTQ community. To establish sound processes for evaluating performance, SAVE turned to Giving Tree. Recognizing the importance and sensitivity of the project, Giving Tree worked closely with staff and board members to understand its current operations and recommend improvements. After consulting with SAVE and reviewing its bylaws, Giving Tree created board membership agreements that served as the foundation for a three-step, 360-degree evaluation process. The process includes a full-board evaluation, self-evaluation and evaluation of each board member by the board chair, enabling the board to see what’s working well and identify challenges for the board as a whole, as well as for individual board members. To help the board evaluate staff performance and set appropriate goals, Giving Tree first evaluated the local small- to mid-sized nonprofit market and the SAVE operational budget. Based on those benchmarks, the firm created a tiered performance-related pay structure with a bonus calculator based on fundraising and non-fundraising goals. In addition, Giving Tree ensured the board was comfortable with the new process by coaching members on goal-setting and performance reviews and creating a calendar for conducting evaluations, securing give/get pledges, board retreats and training.